Fondazione Coppola is happy to announce the opening of its venue at the Torrione in Vicenza for the La Torre exhibition curated by Davide Ferri. 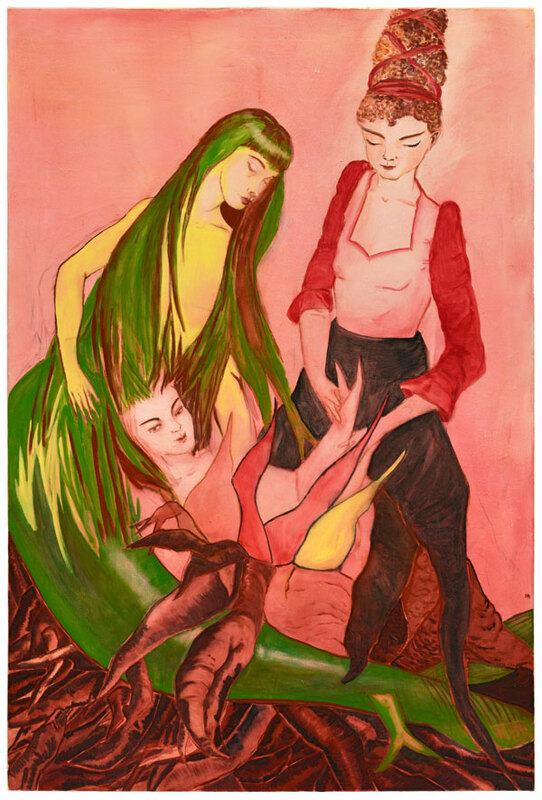 This double solo show of the artists Neo Rauch (Leipzig, 1960) and Rosa Loy (Zwickau, 1961) will run from May 5 to August 31. This is the first solo show of the artists in Italy. The driving force behind it is the entrepreneur and patron of the arts, Antonio Coppola, who purchased and then donated the Torrione to the City of Vicenza in exchange for 30 years of rights to its use following meticulous restoration by UP3 Architetti Associati under the careful supervision of the Superintendent for Architecture and Urban Landscape before deciding to make it the headquarters of his Foundation: a center dedicated to contemporary art. Neo Rauch, Vaters Betrieb, 2018, oil on linen, cm 40x65. Photo: Uwe Walter, Berlino. © Neo Rauch, VG Bild-Kunst, Bonn. Courtesy: Galerie EIGEN+ART, Leipzig / Berlin; David Zwirner, New York / London / Hong Kong. The first show, presenting a series of paintings and drawings by Neo Rauch and Rosa Loy never seen before, was put together expressly for the display space at the Torrione and offers viewers the chance for an initial approach to the work of two of the world’s leading figures in painting in recent decades. The two artists are linked to the city of Leipzig, where a figurative language began developing in the early 1900s and continued into the Third Millennium (the Leipzig school, for example) that has attracted the interest of various generations of German artists. Neo Rauch played a crucial role in the years immediately after the end of the former GDR. Acting as liaison between different generations of artists, a point of reference for the painters of the New Leipzig School, he continuously reinterpreted his figurative language through a mixture of different cultures: illustrations for East German propaganda posters, Pop culture, the energetic and nervy realism of artists like Max Beckmann and Otto Dix, and the hallucinatory outlook and dramatic excitement of the large-scale paintings of Renaissance masters like Tintoretto and Rubens. 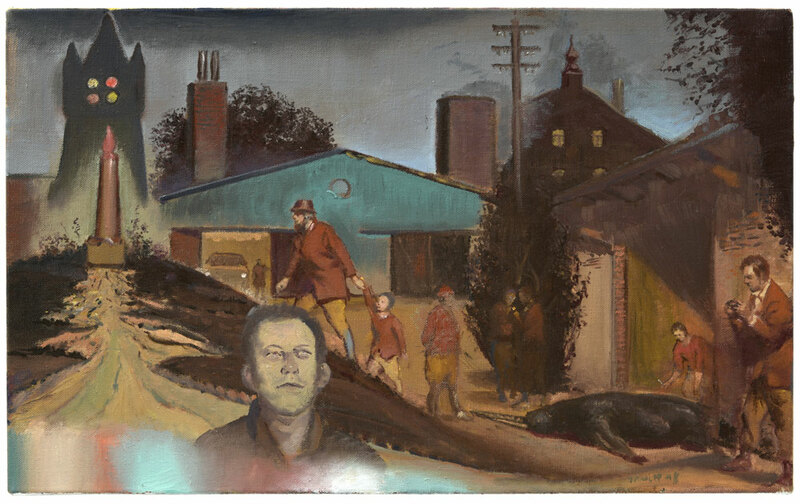 Each painting by Neo Rauch is based on the encounter and the juxtaposition (leading to collapse) of different motifs and narrative nuclei with figures that may double and even multiply inside the same image with sudden changes in atmosphere and time. The result of this convulsive overlapping are images that are only apparently illustrative, discomposed, and based on autonomous, often contrasting episodes, and permeated by continuous variations in perspective and disproportion. For this reason, Neo Rauch’s paintings work as authentic “maps of forces” in which every element is more similar to the climax of an energetic and visionary libretto than a coherent and complete narration. Rosa Loy’s figurative language is apparently more fluid (and open to the possibility of lyrical abandonment) but equally dreamy and ambiguous: her paintings always center on the double woman, the Doppelgänger, and the enigmatic relationship - often sordidly violent - between the two figures moving in an intimate and familiar landscape, inside a house or garden. Like those of Neo Rauch, Rosa Loy’s paintings also invite the viewer to come to terms with archetypal images – rich in psychoanalytic implications – whose meaning is continually reinforced by the potentially “symptomatic” juxtaposition of details and elements and an “elliptical construction lacking stable nuclei”: a dimension of illustration that works in counterpoint to the elusiveness of the story, as is often seen in the surrealist tradition. The title of the exhibition, La Torre, evokes the host building and its symbolic power. The works of the two artists dialogue on six floors to permit a close comparison between these two poetics marked by progression (also by the spectator) upward to the top floor, whose 360° view of the city can also be placed in close relationship with the works on display. The figure of the tower as element of evocation, close comparison, and possible story also appears in many of Neo Rauch’s paintings, sometimes only in the background, recalling the imagery of folk tradition and fairy tale that has always stoked the artist’s vision. The show runs Wednesday through Sunday from May 5 to August 31 with continuous opening from 11.00 am to 6.00 pm. Advance booking is recommended due to the limits on access posed by the Torrione’s architectural configuration. Rosa Loy, Basis, 2018, casein on canvas, cm 150x100. Photo: Uwe Walter, Berlino.